This award-winning graded readers series is full of original fiction adapted fiction and factbooks especially written for teenagers. Lucho and Eva are paired together for a History project. The first stage is to draw a 'Mind Map' of all their ideas. But Lucho's mind map has a mind of its own and starts to grow. 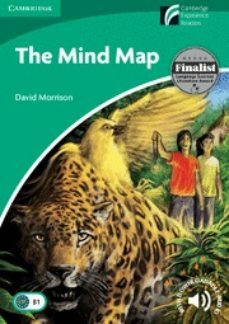 The map leads Lucho and Eva on an adventure involving the ancient theft of gold in a lost city in the Colombian jungle. This paperback is in British English. It is also available with a CD-ROM and Audio CD with vocabulary games and complete text recordings from the book. Cambridge Experience Readers, previously called Cambridge Discovery Readers, get your students hooked on reading.